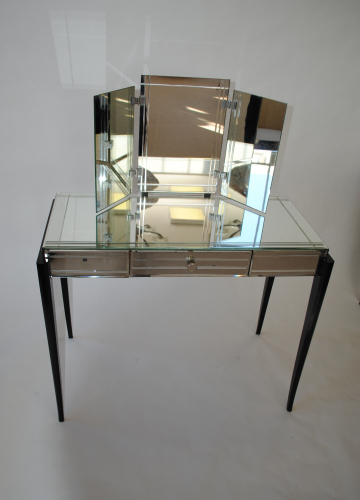 French Art Deco dressing table. Ebonised legs. Original bevelled mirrored panels to front and top. Triptych mirror. Triptych mirror measures 75 cm wide by 43 cm height. Total height is 73 cm for table PLUS 43 cm for mirror.